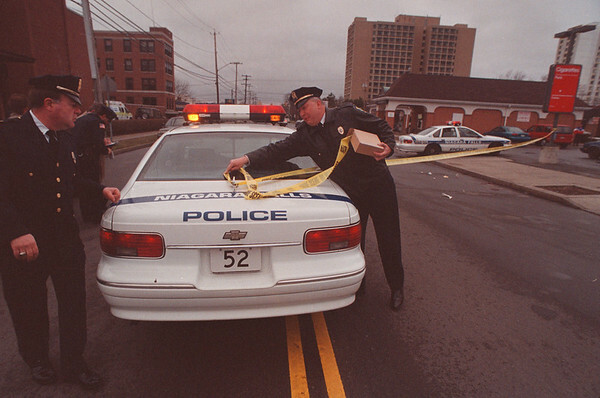 4/17/97 Fatal Shooting Sceen - James Neiss Photo - L-R - Capt. Andrew Viglucci and Capt. Gordon Warme surround the Fatal Shooting Sceen with police tape. Pine Ave between 10th and Portage.